Plug the iPhone in. Type in the destination. Start route. Press "play" on Pandora's 'Lorde' radio station. Buzzcut Season by Lorde, Bittersweet by Ellie Goulding, and Gods & Monsters by Lana del Rey pump through the speakers in succession. My lips are pursed, my head swoops side to side. I look like an idiot, but it's freaking amazing; this is road tripping and we're headed down the California coast on Highway 1. You could spend your whole life in this part of the country and still find hidden gems. However, we know not everyone can live here full time to explore, so here are our recommended stops and finds, best explored with a minimum of two nights, but up to a week. For the full Highway 1 experience, start from San Francisco and hug the coast the whole way. Big Sur gets a lot of hype (for good reason!) and it might be tempting to take the shorter route on 280 straight to Santa Cruz and then link up with Highway 1. However, the coast from San Francisco to Santa Cruz is surprisingly charming and shouldn't be missed. Surf | Take a break from the road and get wet with some surf lessons in Santa Cruz, the birthplace of surfing on the mainland. 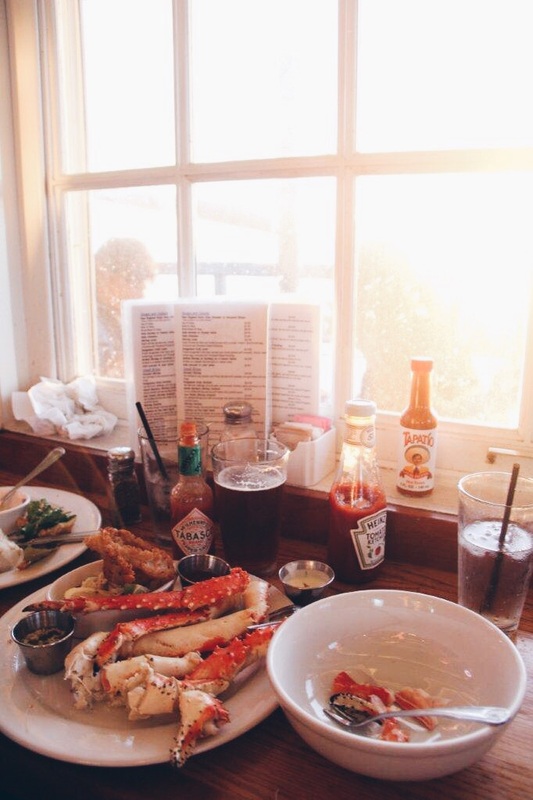 Monterey is known for their Dungeness Crab, so it's only natural to enjoy some while you're there! Anchovies swim round and round in a circular aquarium at the Monterey Bay Aquarium. Babies, kids, adults - everyone is fascinated by the sea life here. Monterey is one of the best places to spot sea otters. A high number of them call this bay home. Monterey is famous for Cannery Row. Now filled with kitschy shops, Cannery Row used to be where all the fish were processed. 17 Mile Drive | Take 17-mile drive from Monterey to Carmel to see the lone Cypress and Pebble Beach. Point Lobos State Natural Reserve | Stunning turquoise water, evergreen cypress, and rocky coast. Point Lobos has miles and miles of hiking, but can also be explored via car if you're in a hurry. The views rival, if not surpass Big Sur. Click here for a photo journal of our visit. Of course if you have time Carmel Beach is great for a stroll (there is even a Frank Lloyd Wright house on the boardwalk) and Carmel Village seems plucked out of Disney. For our full guide to Carmel, click here. McWay Falls | The iconic waterfall of Big Sur that spills onto a sandy beach cove, is a part of Julia Pfieffer Burns State Park. It's easily accessible on foot by a quarter mile walk from the park entrance. If you want to avoid paying the $10/day use fee, you can park along the road. Before becoming a state park in 1961, this slice of heaven belonged to Helen Hooper Brown, an east coast railroad heiress orphaned at 15. The window of their bedroom looked out onto McWay Falls. Can you imagine? The foundation of their house is still present, but now everyone gets to enjoy the gorgeous views. Pfieffer Beach | Pfieffer Beach is known for a natural arch that occurs just off shore, great for photo ops, but we also found it to be simply a relaxing, clean beach to spend the afternoon. There are two horses that will likely greet you as you drive in towards beach. You'll park, walk through a cypress lined sand walkway and then find a place to plop down and enjoy the day. $10/car entry fee (separate from what you pay to get into McWay Falls). Whale Watching | December through April is the time for Gray Whale sightings, and April through December is the time for Humpback Whale sightings, so chances are pretty good that you'll see some whales as you cruise down the coast. The Parks system organizes whale watching certain mornings (your campsite will have the schedule) and not only do they bring a cardboard box filled with binoculars for everyone, but they educate you on whales, seals and sea otters! Hike | If you're feeling the need to stretch your legs for a short hike, we recommend Pfieffer Falls / Valley View Trail for it's mix of redwoods, a waterfall and sweeping vistas. Click here to see more pictures from Big Sur and how powerful girls' trips can be. Come here anytime of day for delicious food in a lovely rustic setting. Think string patio lights, a bacon pastry, and cute decor. The place to stop for lunch for unbeatable views, interesting architecture and lots of fries. 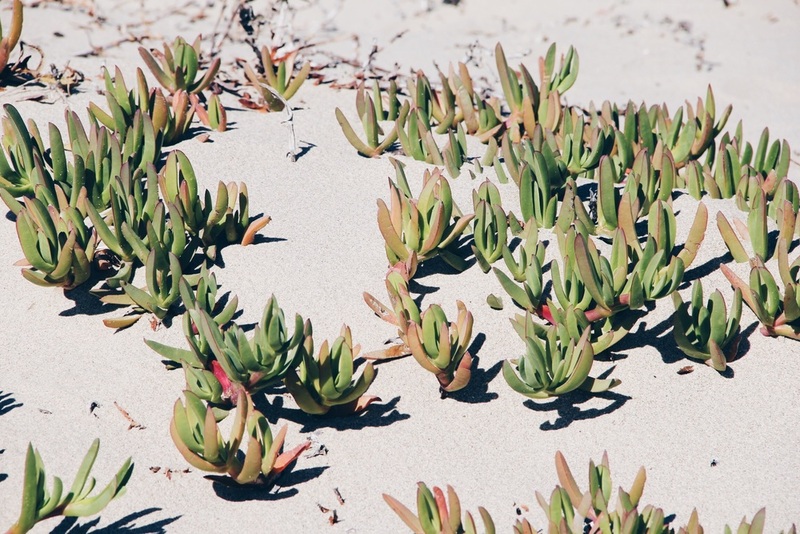 Kirk Creek Campground (sites 8, 9, 22) | Views of the ocean and the sound of the waves. Firewood can be purchased at the campsite for $8/bundle (payment based on honor system of putting your dollars in a wooden box). No showers, compostable toilets. Make your reservation 5-6 months in advance. Limekiln State Park | Access to the beach + showers! Click through below for pictures from lunch at Nepenthe. Early spring (Feb/March) is a perfect time to explore Big Sur - the hills are green and flowers are blooming all over the place! Nepenthe's building was designed by an architectual student of Frank Lloyd Wright, adding even more interest to this already stunning spot. We'll be honest with you, Nepenthe isn't a cheap lunch. Our burgers were $16 and a half order of fries was $6 (split the half order - there are a ton!) However, it was worth every penny for the view! The name Nepenthe literally means medicine for sorrow, with Greek origins. This and other interesting facts on the history of the restaurant are featured on the menu. We were pleasantly surprised by the fun collection of goods for sale at the Nepenthe gift shop. It's worth a stop for a souvenir that is actually useful! Perched atop the hills of San Simeon, Hearst Castle earns its castle status from the stateliness it exudes from the hilltop. Its lavish, extravagant, unique and interesting. We recommend the 60 minute Grand Rooms Tour to get the lay of the land. It includes the gardens and both pools, and we can't get enough of the blue and gold Roman Pool. $25/adult. Elephant Seals | You won't be able to miss these lugs; there are hundreds to thousands of them lazing on the beach everyday. This is because its a protected rookery, making it a perfect place for the seals take a breather and have some babies. One baby seemed to be laying by itself and then a momma started hauling her loaf of a body towards it, throwing her blubber around like it was nobody's business. She yelled at the baby, prompting it to try to wriggle away. Cambria is best enjoyed at a slow pace, with no rush. There's not much going on here and that's part of the charm. But if you have a couple extra nights to take a breather, you won't regret your time spent. Read more about our weekend in Cambria here. Part of the Shelter Social Club, Agave Inn is a clean and stylish motel perfect for anyone who likes an inspiring place to stay at a decent price. ~$90/night. We're going to go out on a limb here and say this is the best ice cream we've ever had. Two words: Mint Chip. After a day of driving along the ocean, there's nothing better than some shellfish and a glass of white wine. Santa Barbara Shellfish Co. delivers on the deliciousness in a cozy setting at the end of the pier. It's a popular place, so don't be surprised if there's a wait. Okay, so technically this isn't on Highway 1. But it's only about an hour inland and transforms the real world into Dr. Seuss-land. The Joshua Tree House | In the desert new the west entrance of Joshua Tree National Park. If you haven't used airbnb before, get $20 off your first stay using this link! Like we said at the beginning, there are so many things to do and see along Highway 1! For more inspo, check out Life on Pine's recommended Highway 1 road trip recommendations. They are two women whose adventure's we love to follow! Big Sur by Jack Kerouac | After his crazy days and young success with On the Road, Mr. Kerouac spent time in Big Sur and reflected on his life. For a list of more books to get you excited for your trip along Highway 1, click here.